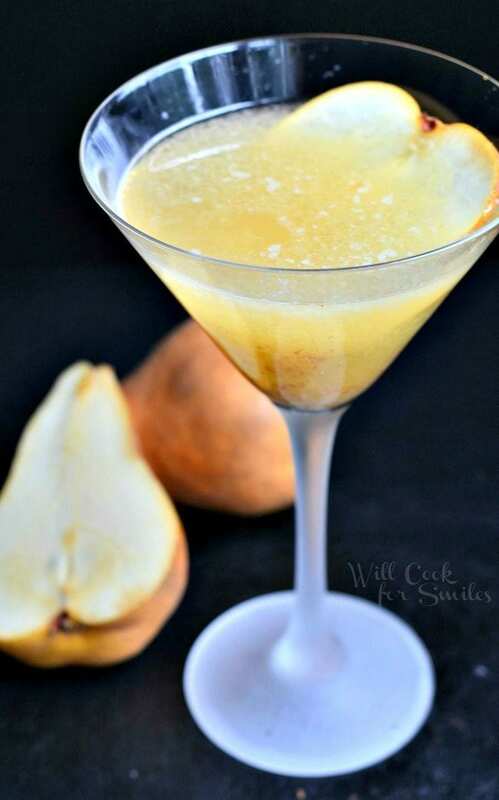 Delicious pear martini made with amaretto, pear vodka and fresh pear puree. 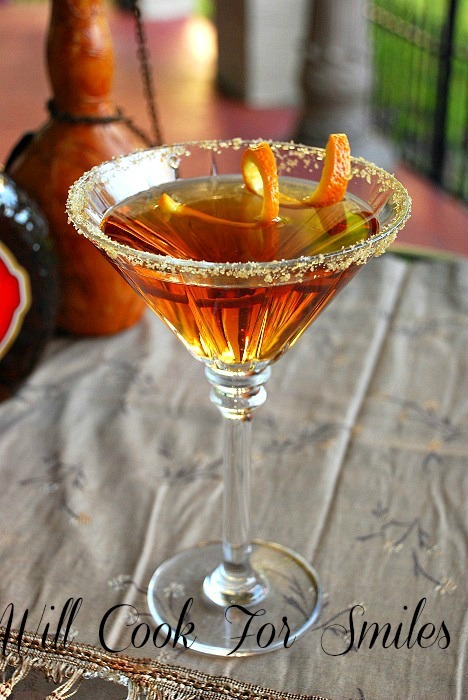 Beautiful martini to serve for a date night or just to relax after a long work week. …oh, for all of you parents are there, “date night” is when those extremely lucky parents get to go out for a night on a town ALONE! Yea, no kids! Just the two of them. Did I mention no kids?! Alright, back to our date night. We went to see a movie and then tried a piano bar that I’ve head about but never tired. It was nice and the best part was the martini I had. 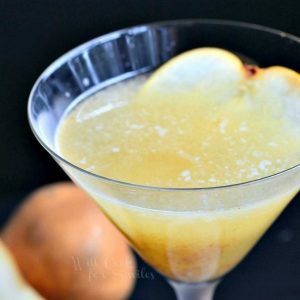 It was a pear martini and it was so tasty! I noticed in their description of the drink that they added amaretto and fresh pear juice. Of course, they don’t give out their recipe so I decided to recreate it myself. I think mine came out even better because I used pear vodka in addition to regular vodka and I used a weak simple syrup. 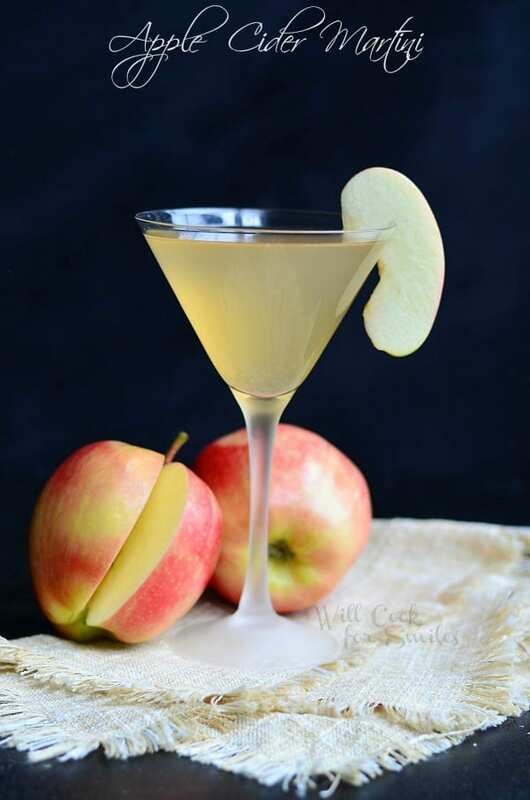 I tried making it with a regular simple syrup but it was way too sweet and pear flavor gets less pronounced. So I cut the sugar way down and it was awesome! 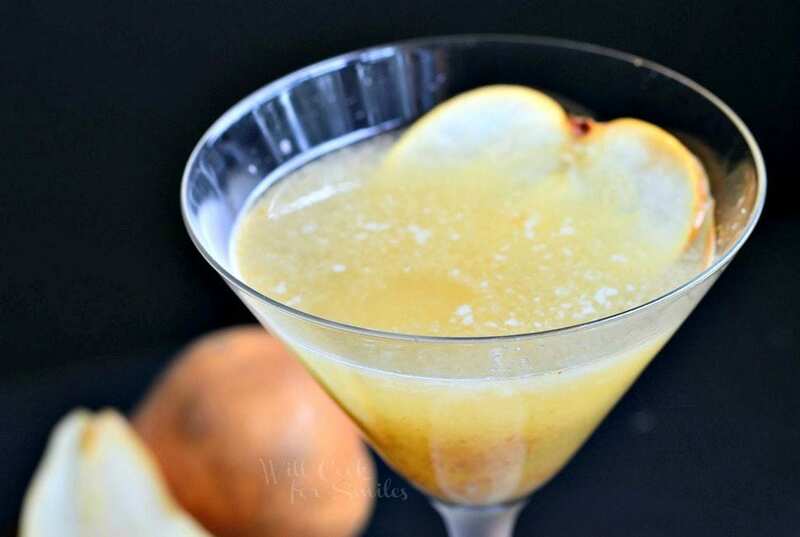 Delicious pear martini made with amaretto, pear vodka and fresh pear puree. To make pear puree, I use the the star grater. (You know, it's one of those that pokes out, start shaped and very sharp.) 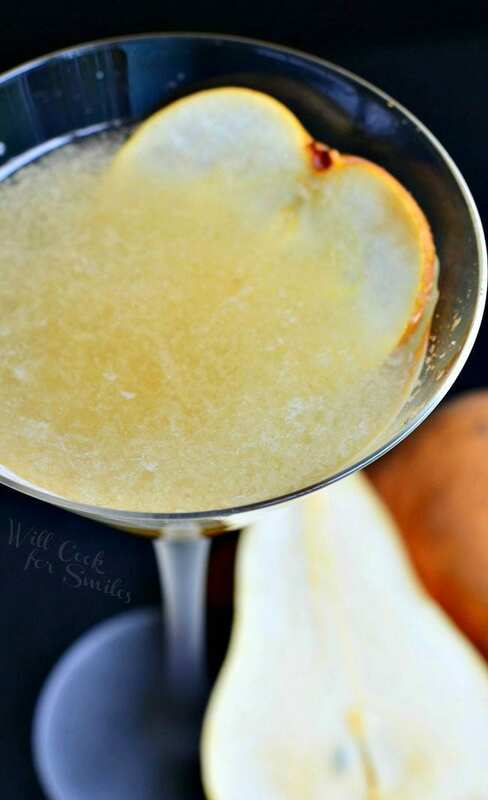 It creates super fine flakes and that's why I love using it for a quick puree of apples, pears or other fruit. Just watch your hands, it's really sharp! For weak simple syrup: combine 3 oz warm water with 3 tsp sugar and stir until sugar is melted. 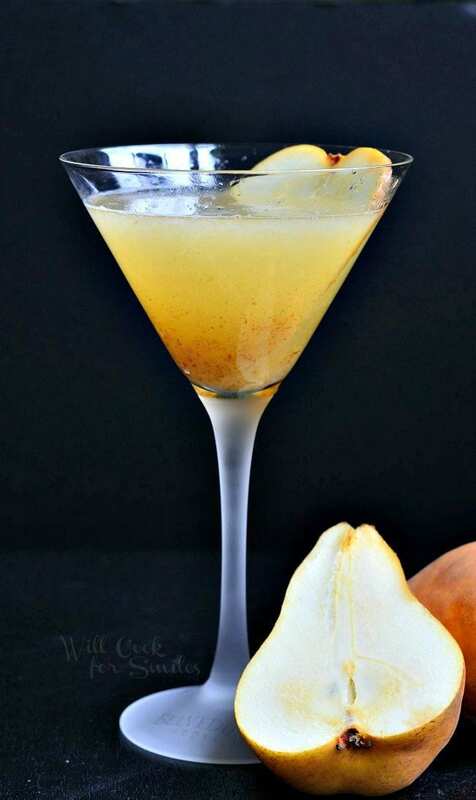 Combine amaretto, vodka, lemon juice, pear puree and simple syrup in a shaker with a couple of ice cubes. Shake well. Pour into a martini glass through a fine strainer to catch most of the pulp. 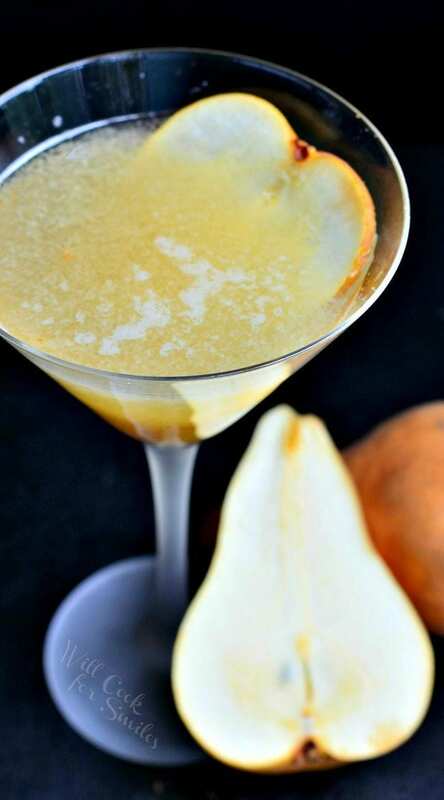 *Note: If you like pulp, you don't need to pour this martini through a strainer.